When I handed over Dots on the Galaxy Note 3 to my better half last week, the first thing she said after playing it for 2 minutes was, “How do I turn the timer off? I just want to play.” Well, dear, here you go. 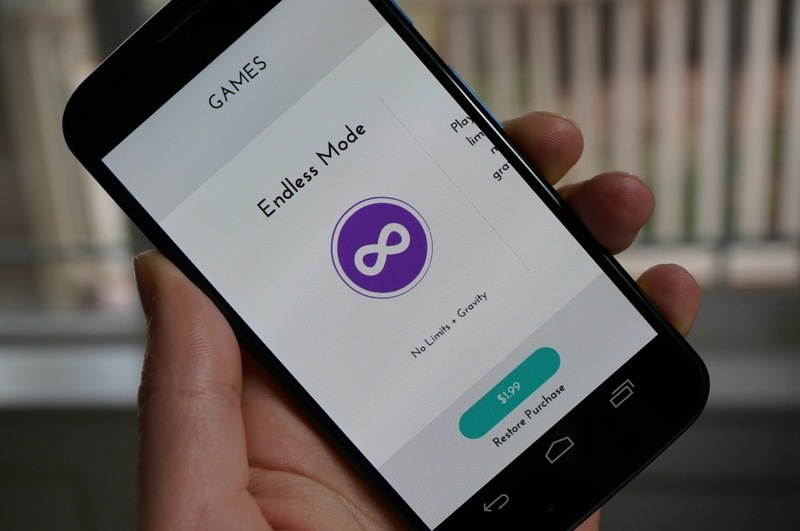 The Dots team introduced Endless Mode last night as a $1.99 in-app purchase. As the name suggests, you can just play and play and play and play, until your finger can no longer swoop around dots in square shapes. But that’s not all that was introduced. You’ll see an even simpler UI (crazy to think that is possible), speed improvements, and a bunch of bug fixes. Go feed that addiction.